Fill out the form below to get in touch with a franchise specialist to learn more about our great opportunities! What area(s) are you interested in looking for a franchise? Founded in 1992, The Grout Doctor® is the largest and most experienced national grout franchise in the industry with an unmatched support system. Not only are we setting the standards for our industry, but The Grout Doctor® founder created it. 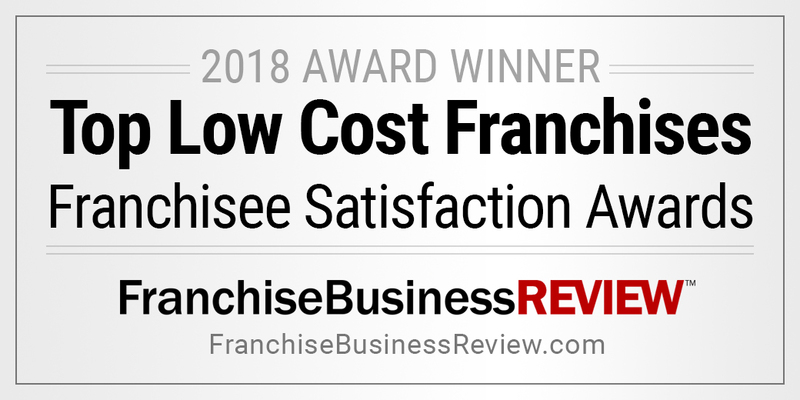 An experienced, well-established franchisor saves its franchisees time and money. The Grout Doctor® is a full service grout and tile care business. We offer services that include regrouting, grout cleaning, and grout recoloring. Additional services include expert color matching, grout repair, tile repair and replacement, recaulking, and minor tile and substrate repair. Another service that we offer is stone care which includes stone cleaning, sealing, polishing, and restoration. The current composition of grout, tile, and stone care services is a classic example of a truly fragmented industry. With typically low barriers to entry, few licensing requirements, and no other reliable brand to turn to, consumers are weary and likely to experience poor results and dissatisfaction. Savvy customers are thrilled to find highly-trained Grout Doctor specialists and a recognizable brand. The Grout Doctor® is consistently highly ranked by industry publications. No other grout company in the business has more rankings to date. Most comprehensive support system in the industry. The growth of The Grout Doctor® depends on the growth of our Franchisees. We take tremendous pride in providing an extensive franchise support system. Our vision is twofold: to be recognized as industry leaders in the renewal of existing grout and tile and be a positive influence in local economies with each successful franchise sold. It is our mission to offer individuals an opportunity to own a business that can be profitable and fulfilling at the same time. To become a Grout Doctor does not require a college degree, a fancy corner office, or a great deal of money. Each Grout Doctor receives extensive and ongoing training in the field of grout, tile, and stone restoration from a very energetic and knowledgeable support team. This is a home based business with you as the owner and operator. Our franchise packages are comprehensive and affordable. If you are a military veteran we have a special discount just for you. Visit our Veterans Opportunities page to learn more about our special Veterans discount. This also includes VetFran, an initiaive which assists returning veterans in accessing franchiseopportunities. The Grout Doctor® is also affiliated with the Franchise Brokers Association. This association works to increase the appreciation for cleaning as an investment in human health and the environment. The NTCA strives to improve the trade through education and training, participation in the development of standards and methods, and communication.